For three years, I have been blogging and never actually stated where I live. This has partially been to protect my children/family. Plus, I’ll be honest, I never really felt the need to come out and say it. Could someone figure it out? No doubt people probably could have narrowed down the part of the country and possibly the state from photos of snow, places we go and so on. Recently, things have been cropping up that have made me change my tune. 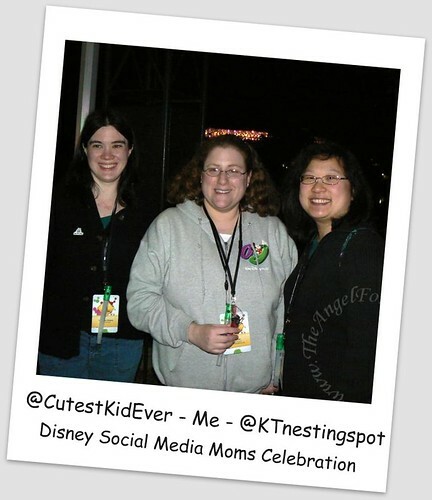 The Disney Social Media Moms Celebration got my real name out there. In addition to this, local opportunities have come up and some big plans/projects are in the works. If I do not let places know about my three years of blogging history, it pretty much defeats the purpose of my hard work over the years. Of course, anyone really close to me knew who I was from the start. Will I have my full name on The Angel Forever? Not yet. Again, no real need for that. People that need to know will continue to get that information. Of course, the timing on this is really good. Recent events in my home state of New York have gotten me very angry. Born and raised in New York, it absolutely disgusts me when I watch the news and see how things are falling apart. Up until now I have stayed quiet about news events, but thanks to coming out of my bloggy shell I can vent, collaborate and work with others to see what more I can do via my blog and beyond. Right now, my brain is in hyper mode. A recent PTA meeting at my son’s school has me disgusted. Budget cuts, broken political promises and powers that be who do not see how their actions will kill our schools. Ultimately, our children are the ones that will pay the price. You know, the children that are the future of not only New York State, but our country and world. *sigh* This is a topic that I will definitely be addressing another day. I will be looking to others for advice on where to go with the people from our school, to fight long and hard to save teachers, nurses, art/music and most importantly our school that may be on the chopping block. If you blog did you come out of your bloggy shell and tell people where you live and why did you this? If you always were upfront did you have any negative experiences with this? I guess that I am somewhere in the middle!! I mean I would be shocked if someone did not know I live in Upstate NY – not that far from you. :) But my name is not all that out there – although it is probably not that hard to find out. It is out there too. So, far I have not had any negative experiences with these things. As for the news about NY – ugh! Ugh! UGH!!!!!! I have not revealed my full name but I do state where I live, because it’s a large city. But, we’re soon moving to a smaller city and I’m debating whether or not to reveal it or just give it a more general area name. 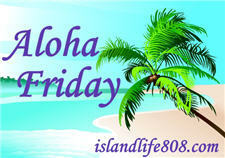 .-= Steph´s last blog ..Aloha Friday: Great Performances, and Friday Follow! =-. .-= kailani´s last blog ..Aloha Friday #125 =-. I don’t come right out and say where I live, but so far I just haven’t needed to. I don’t really hide anything either. I am not going to share just for the sake of sharing though. So far, I have not had any negative things happen because of it. I didn’t make a point to tell exactly where I live. But, I have blogged about activities or places we have went in my home state. Most of my family and friends do not know about my blog. I have never hidden where I live. I figure that my name and number are easily accessible from superpages.com (and actually a friend on Flickr found me a few weeks back that way – a good thing!) so hiding it from the web didn’t gain me anything. I totally get why other people do it, though. One big reason that I’ve not kept it from the web is that I like to give positive reviews of places that we go and have fun, and I’ve had folks suggest local joints because of it! .-= Pamela M. Kramer´s last blog ..Thursday Thirteen #98 – Guilty Pleasures =-. I don’t think I’ve specifically named the town, just the state. My name is in the signature and About Me page of my blog. I have said where I live, but it’s a huge city. I debated this forever, but so far have been happy with my decision (knock on wood). .-= Tired Mom Tesa´s last blog ..What Blogging Has Brought Me =-. .-= Susan´s last blog ..I’m a Doubting Thomas =-. .-= twincerely,Olga´s last blog ..Music MondaY!!! =-. I’m glad that you’re coming out of your bloggy shell, it’s great to meet other NY blogging moms! At first, I was worried about sharing my name and state online, but only because I was concerned about sharing personal information online since my kids also blog. After a year or two, I realized that we’re well known in our community anyway. Not famous, but we are active in our community and have gained recognition as a result. I also realized that it’s just as important to craft a positive identity online, instead of waiting to see what happens by default. More recently, I started a blog called Albany Kid that is all about things to do in upstate NY with kids. So, it’s pretty clear where I live! As for school budget cuts, I’m livid! In fact, I’m losing a lot of blogging time to attend school board meeting, and to comment on town blogs. I’ll definitely be writing about THAT on my education blog. I think NY State and federal legislators need to hear from all of us moms! .-= Sandra Foyt´s last blog ..Ioka Valley Farm Maple Goodness: Maple Syrup Tasting, Sugar House & Pancake Breakfast Calf-A =-. Cute picture of the three of us! I wish I was back in Disney World now. I have always used my first name, cause I was real subtle and put it in my blog title. So no keeping that under wraps. I do mention that I live in MI and that I used to live in NM and CA. I feel it’s a pretty big state and Metro Detroit area is large and heavily populated. I’ve yet to use my last name or ER’s real name. I also recently started added my blog name to any photos with her in them. You can’t be too careful with your kiddos. .-= Katie´s last blog ..For Cheryl =-. I’ve never been quiet about where I live but of course not my address or full name. But then the only people that read my blog are usually people I “know” – I don’t really advertise it. But I’ve been pretty out there on the internet for several years and have never had a problem. I usually just put the state I live in, but not my city or address. P.s did you ever find out about the comment problem. After i send this comment it won’t just come back to your page. It goes to a blank page. .-= JamericanSpice´s last blog ..Aloha Friday: Up and down… =-. When I started I was a bit reluctant to do so. Once I talked it over with my husband, I have decided that sharing that info is ok. I have put my name & where I live on my blog. I did not put my actual street address, but people know I live in a suburb of Buffalo. .-= Melanie @ Whimsical Creations´s last blog ..Dear My Kids Giveaway =-. forgot to add…I could not agree more about the fiasco going on in NYS government. I’ve always had my name and city on my blog. I started it just for family and close friends to keep track of my life when I lived overseas for 5-months. Then I came back and kept it up – celebrating 5 years this month! I still try to keep some things private but for the most part my life is an open book. .-= Leanne´s last blog ..Cool thing to do with your iPhone =-. I’ve never been an anonymous blogger/poster. I don’t know that it ever really crossed my mind.